This is beyond insane, and truly makes you wonder if karma really does exist. 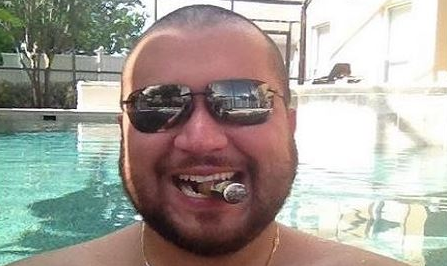 George Zimmerman allegedly retweeted a photograph of a slain Trayvon Martin from three-years ago that another Twitter user was admiring. According to Raw Story, A Twitter user, under the handle @SeriousSlav, wrote “@TheRealGeorgeZ Z-Man is a one man army” to go with a picture of a mortally wounded Trayvon Martin. 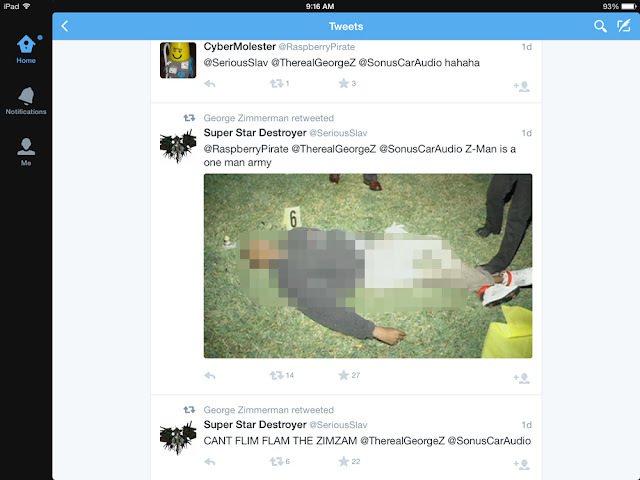 The tweet speaks to the enjoyment Zimmerman gets out of internet trolling, and bragging about the murder.